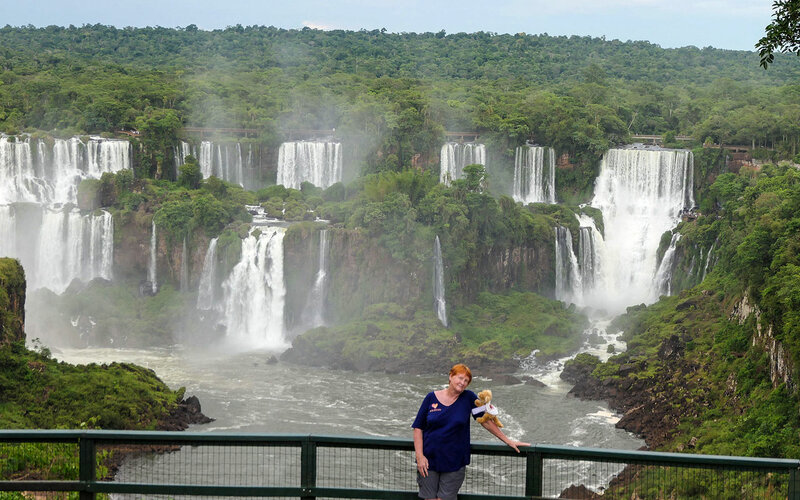 Dr Anne's Flyover – Iguassu Falls Stretches From Argentina To Brazil! 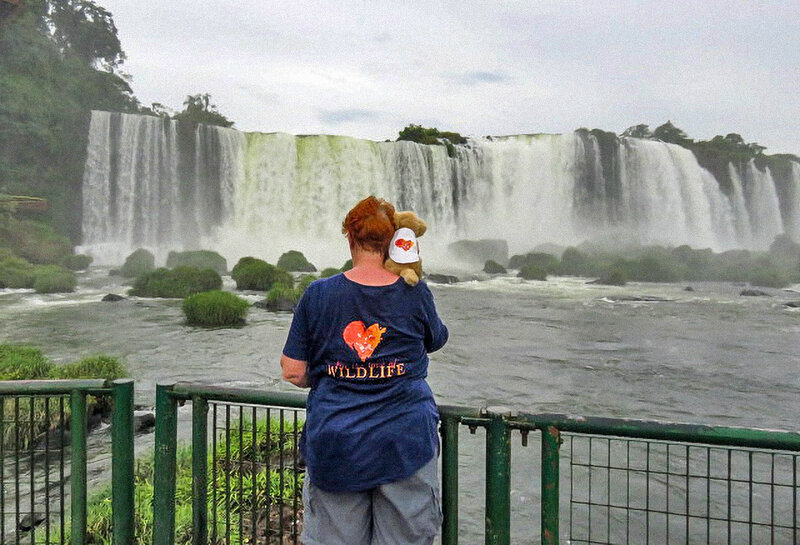 Dr Anne’s Flyover – Iguassu Falls Stretches From Argentina To Brazil! 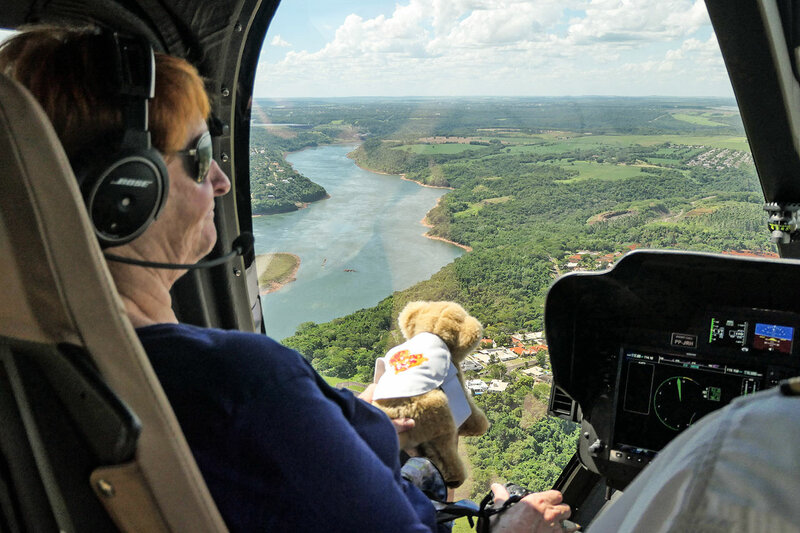 Into the helicopter for an unforgettable South American flight over incredible waterfall scenery – Dr Anne Small tackles yet another incredible adventure. 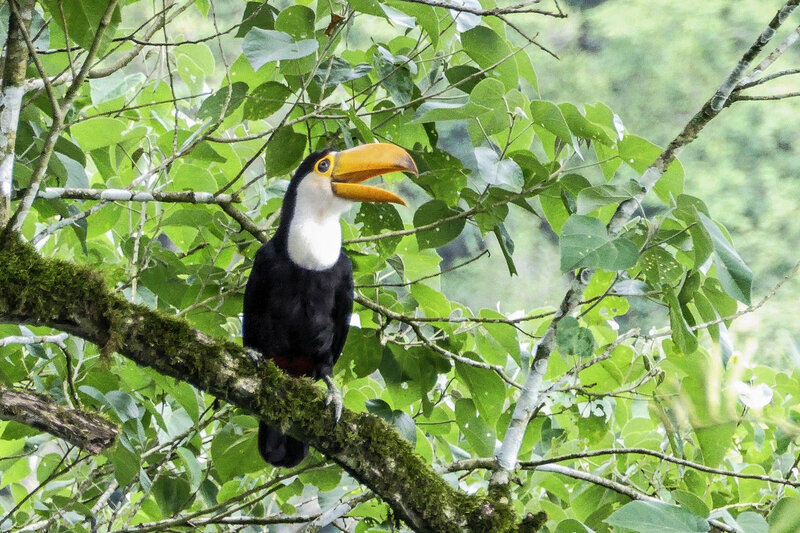 It was a long day of travelling – Buenos Aires to Sao Paulo to Iguassu – and it was 11pm before heads hit the pillow in the hotel room. 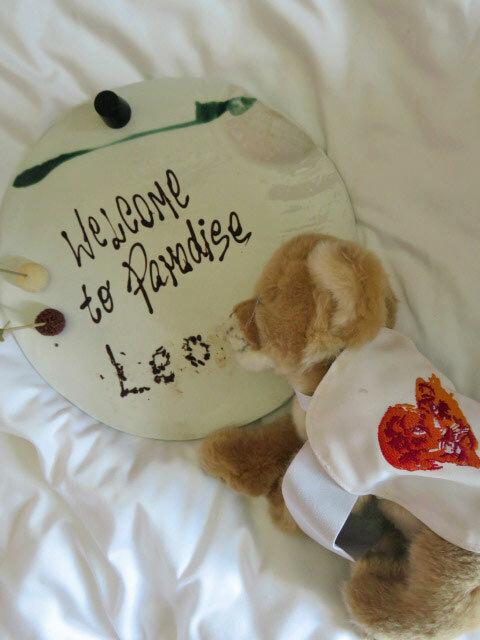 The hotel had prepared a lovely welcome plate for Dr Anne, which was quickly pounced on by her travelling companion, Leona the toy lioness, who is along on the journey as a symbol of Dr Anne’s support for the organisation For the Love Of Wildlife. 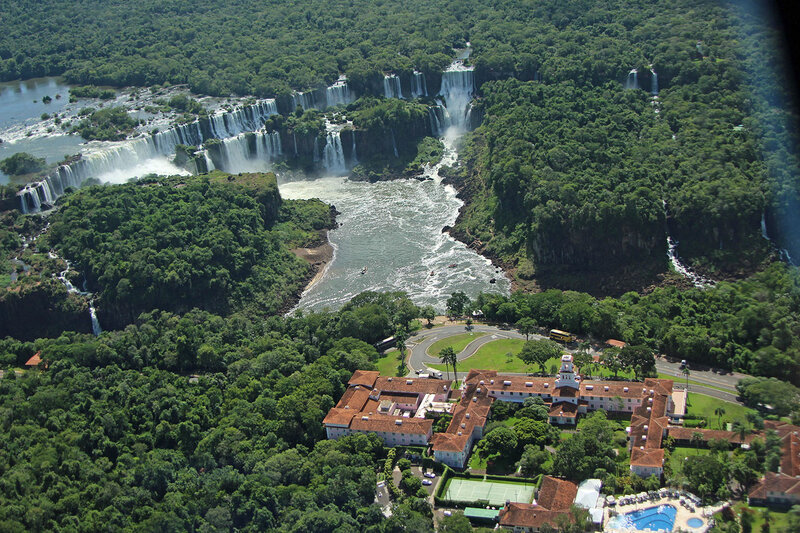 Paradise was in plain sight alright, with a part of the great Iguassu waterfalls (also spelled Iguazu and Iguacu) able to be seen through the hotel room window when the morning arrived. 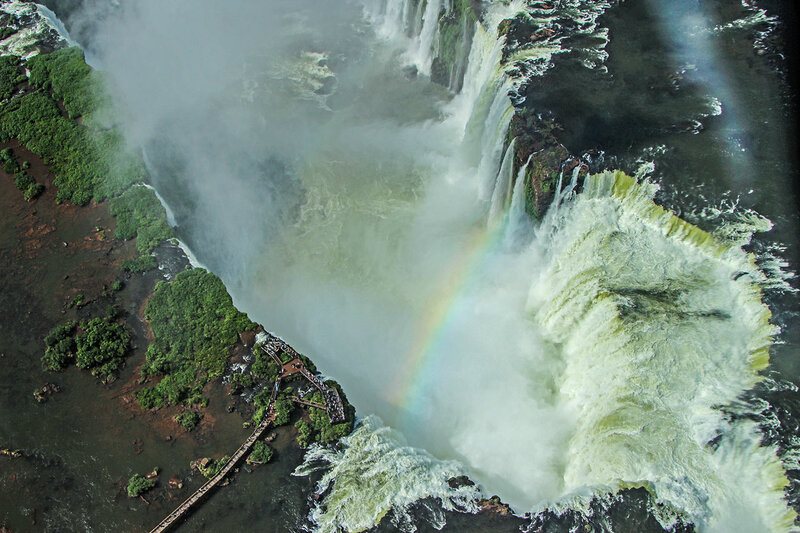 Of course the whole lot couldn’t fit into a single window frame, since Iguassu Falls is the widest in the world – measuring in kilometres depending on the season and the amount of rain. The hotel, and its view of the falls! 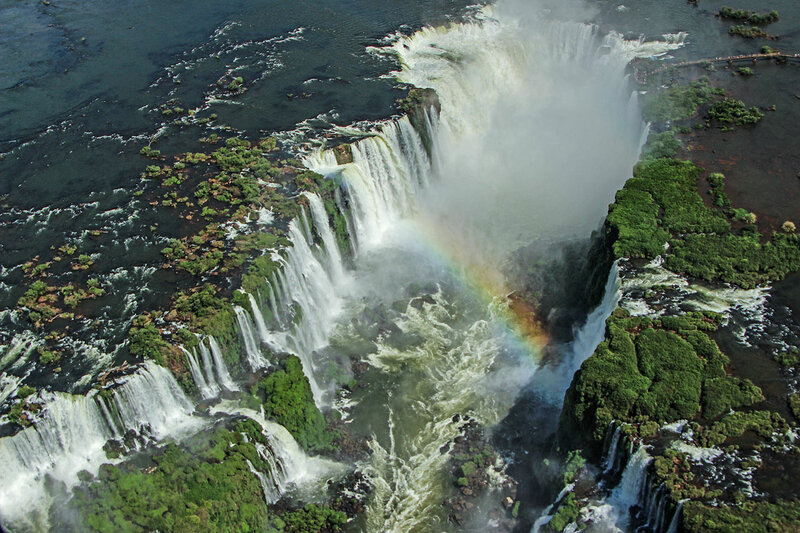 There is one huge fall called the Devil’s Throat, then there are many other falls varying in size, shape and height. The early Portuguese/Spanish explorers called the Falls the ‘Smoking Thunder’ because they could hear the noise and see the ‘smoke’ two days before they arrived at the Falls. Dr Anne was last here for the 2YK New Year’s Eve party. 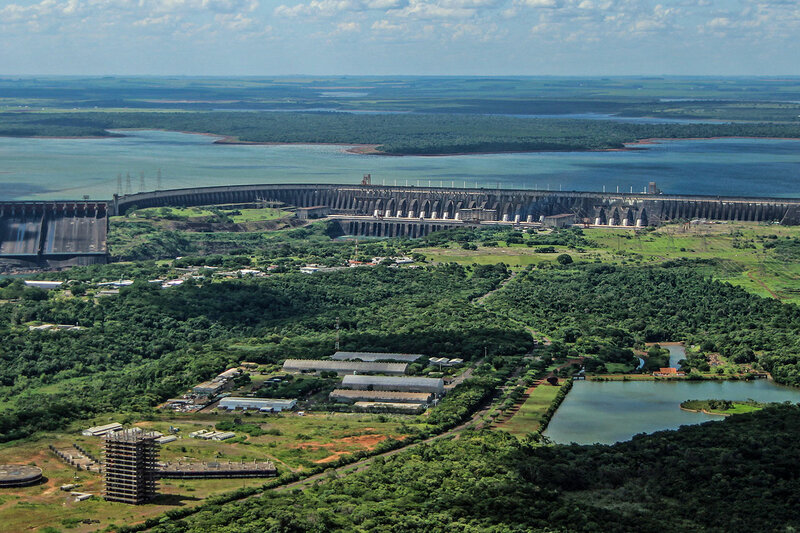 She said that at that time the guide talked about piranhas being in the river and explained that they only attack humans (as you see in the movies) when they are cut off from their food source in the main river. The guide reckoned that piranhas ‘suffer from bad press’! 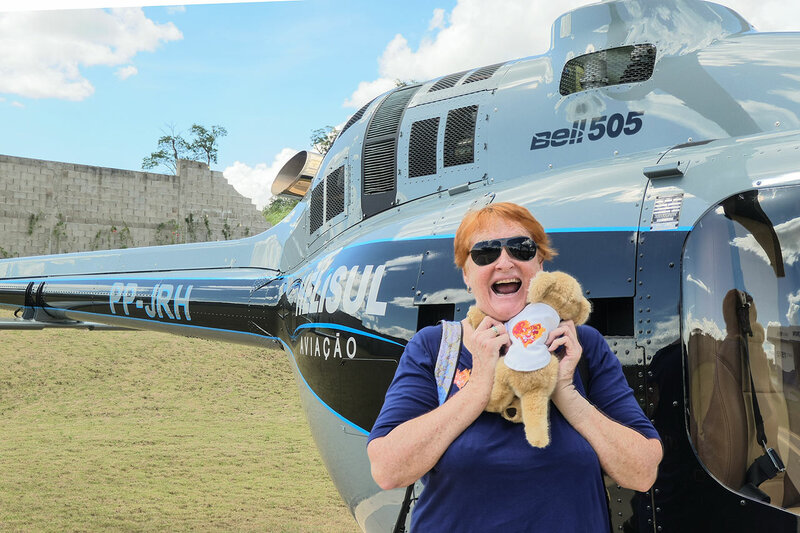 Leona was dragging Dr Anne out of bed (again) because it was time for a helicopter ride over the Iguassu Falls. 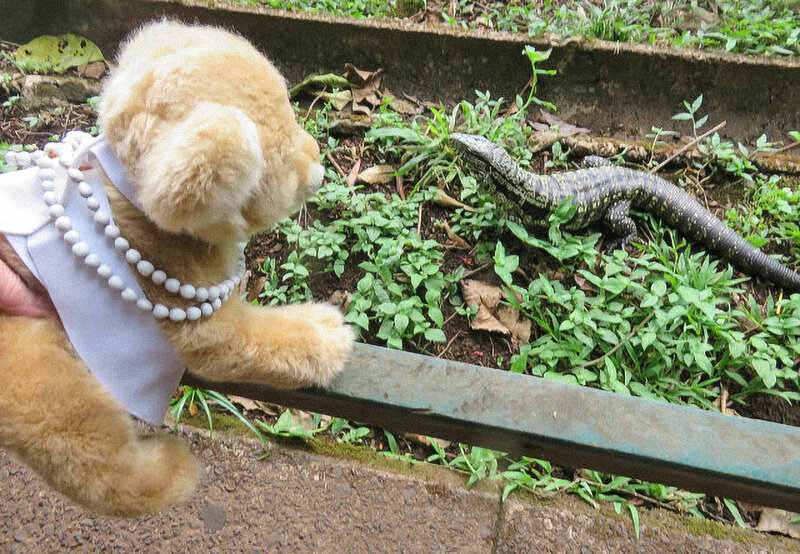 Though once Leona got close to the helicopter, she became very scared and almost strangled Dr Anne as she clung onto her neck. However, once inside in the front seat with the magnificent view, all the worry faded away to being in awe of the amazing view. 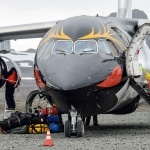 A highlight was the flight up inside into the Devil’s Throat – so awesome and so exciting – the views are breath-taking!! We also flew over the world’s second largest hydro-electric dam (second to China’s Three Gorges Dam), but the pilot was quick to point out that this dam produces more electricity than the Chinese dam. 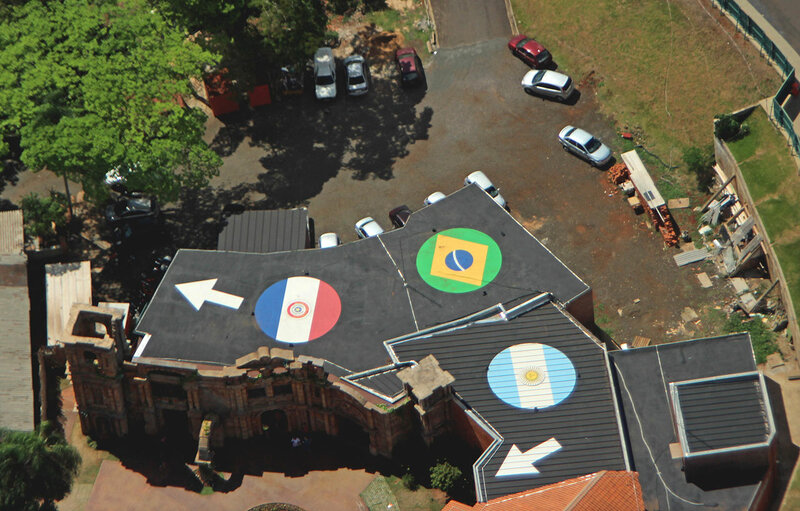 The Iguassu River and the Parana River are at the junction of Brazil, Argentina and Paraguay. 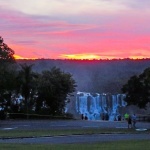 The thousands of people visiting the National Park have to leave at 5.30pm when it closes, but because our hotel is in the Park, it was possible to go for a walk alongside the Falls in the early evening. Again, the views of each single waterfall are beautiful in their own right and all of them put together is just unbelievable and just so awe-inspiring. 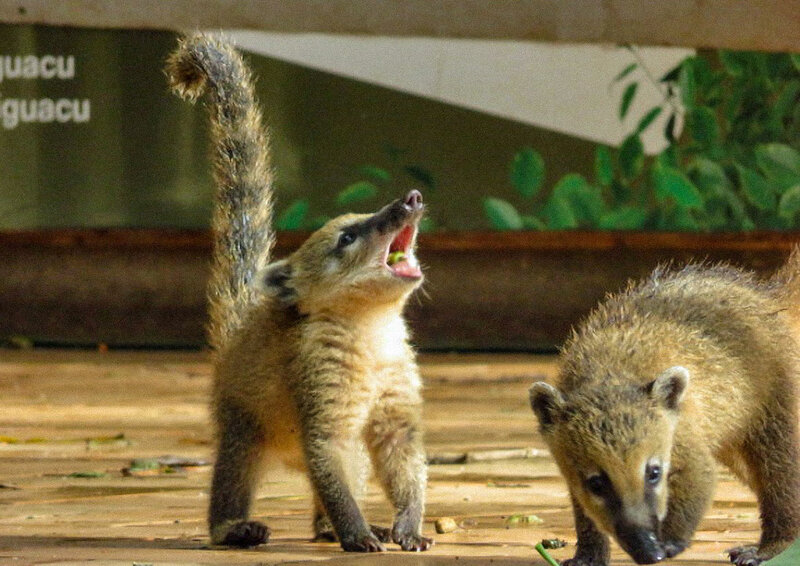 Leona loved the views plus she also loved watching some of the locals – a family group of coati (members of the racoon family) which were enjoying a snack of nuts, and a rather large Lagarto (lizard). Magnificent & Majestic Antarctic A Sight To Behold!